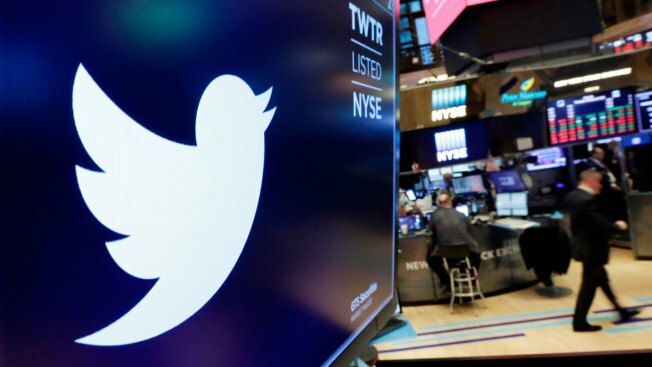 In this Feb. 8, 2018, file photo the logo for Twitter is displayed above a trading post on the floor of the New York Stock Exchange. Twitter suspended at least 58 million user accounts in the last three months of 2017. The number sheds light on Twitter's attempt to improve "information quality" on its service. Its executives have said that efforts to clean up the platform are a priority. The purge activity "adds a level of uncertainty," he said. "As an analyst, I want a more a more genuine view of the user base."